How Much Should I Earmark For Eldercare? Chet Day has degrees in math, physics, EE/computer science, and business admin. 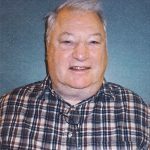 He retired in 1995 from computer communications research for Bell System. Chet is on the UMASC Arts and Presentations Committee and volunteers for UMASC/UMA College of Arts & Sciences Concert Series. He and Deena have 4 grandchildren.